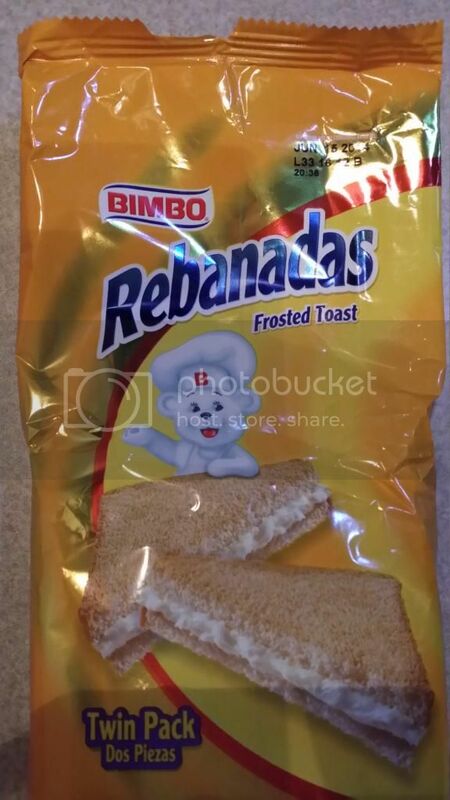 On this trip to Texas, a new pastry caught my attention: Rebanadas. 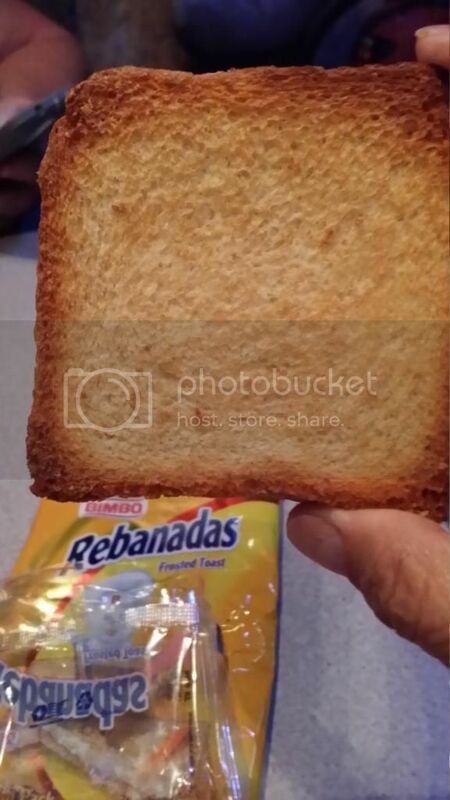 Frosted Toast. I was compelled to try it. Plain old white bread, toasted to a completely dry state. Two slices of the same, with a fairly thick, sweet, whipped filling not unlike the stuff inside Twinkies. I broke one sandwich in half (the package contains two full sandwiches). I got a lapfull of crumbs and a rather unappetizing view of the shiny, almost metallic sheen of the filling therein. Gawd, do I eat this? I nibbled on the corner of the dried toast. It tasted like ...... toast. I took a small nip of the center of the sandwich ...... dry toast enhanced with a rather tasteless whipped goo. The remainder went in the trash. I think I'll limit my border junk food adventures to aguas frescas.